Remember when the simple things in life kept kids entertained for hours? We think they still can! Embrace nostalgia and relive your childhood memories by setting up an authentic hopscotch court for your little ones. Measure and mark the desired area for the hopscotch court. We made ours about 3.5 x 1.2m. Use a line marker to map out the area to be cleared. Use a rake to remove the top soil, leaves, twigs and any loose material until you get to the compacted soil. 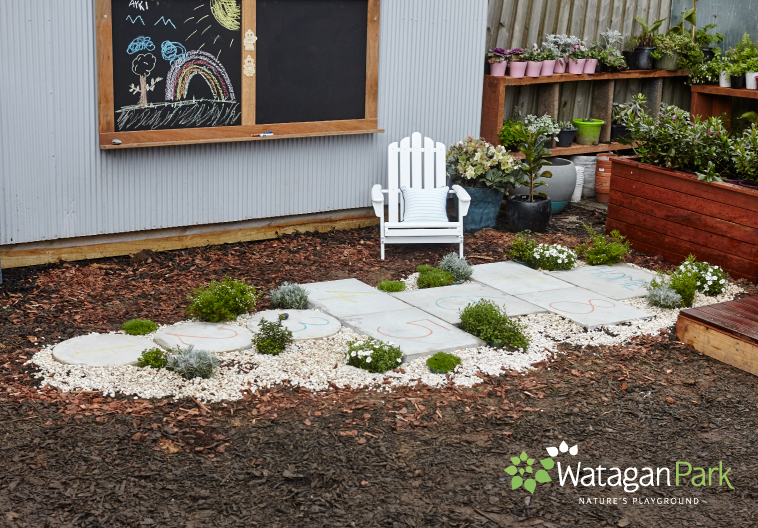 Spread the bags of brickies sand until you have a base that’s 30–50mm thick. 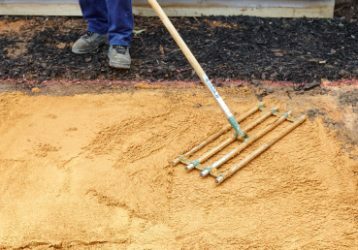 Level the sand off with a screed, then use a screed and a level to make sure the sand is flat. Use a compactor to make the sand a stable base for the hopscotch court to be built on. Lay out the pavers to make your hopscotch court. Mix the concrete according to the instructions on the bag. 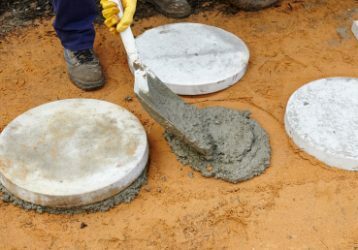 You can mix the cement in either a wheelbarrow or concrete mixer. Remember to always wear a dust mask when mixing cement. Place cement on the sand base where the paver will go. Use enough to make sure the paver sticks to the ground.Place the paver on top of the cement and tap it into place with a rubber mallet. Use the spirit to make sure it’s level. Repeat the process for all the pavers. Make sure that all of the pavers are level with each other. Allow the cement to cure and settle. Once the concrete has cured, fill in the area around the pavers with pine bark mulch and stones. Then put some plants around the pavers to add a splash of colour. Get the kids to use coloured chalk to number each of the pavers. Let them get creative with different patterns, shapes and colours. Then it’s time for them to play on their new hopscotch court!